The MTA sticks Brooklyn’s poorest communities with its crummiest buses. East New York and Brownsville, neighborhoods with median household incomes of less than $40,000, are served by a disproportionately high number of old, diesel-burning buses, a Daily News analysis shows. Residents in wealthier areas on the western end of the borough are more likely to be met by newer vehicles with fancy features like phone chargers and WiFi, The News’s analysis shows. An army of old buses also rolls up and down the west side of Manhattan, through some of the city’s wealthiest neighborhoods. But in Brooklyn, the trend of poor people being met with old buses is undeniable, The News’s analysis shows. Park Slope, Williamsburg and Greenpoint, whose residents’ incomes average twice that of people on the eastern end of Brooklyn, also have 17 bus routes within their borders. Just three routes in those neighborhoods have buses 10 years old or older. The average age of NYC Transit buses is 9.2 years. That average does not count express buses, which are typically older. Individual buses are not assigned to individual routes. The vehicles are housed in one of the MTA’s 29 depots in and around the city, and are dispatched to different lines affiliated with each depot. If a depot is stuck with a higher portion of old buses, so are the routes that operate out of it. The MTA’s service standards say the average age of buses assigned to each depot and division should be between six and seven-and-a-half years. That standard is not met at the East New York and Flatbush bus depots, which service routes in some of Brooklyn’s neediest areas. The agency’s standards also say that the depots with the oldest buses should be the first to get new ones — but that is far from the case in Brooklyn. The 11-year average age of buses serving local lines from the East New York depot and the 11 ½-year average age of local buses running from the Flatbush depot is inflated by an unusually high number of 21-year-old diesel buses, the RTS-06s. These bruisers, built by Volvo, blast strong heat and exhaust out the back and are the next on the MTA’s replacement list. The 214 RTS-06s make up about 4% of NYC Transit’s total fleet — but on local routes running out of the East New York or Flatbush depots, they make up 20% of the buses in service. The Jackie Gleason depot in Sunset Park and the Grand Ave depot in Maspeth, which serve lines operating in predominantly high-income neighborhoods, have none of the 21-year-old RTS buses. Instead, local routes running out of those depots have roughly 125 recently-bought New Flyer Excelsior buses. They come with WiFi, USB ports and sport head-turning blue livery. Fewer than five of the shiny New Flyer Excelsiors run on local routes operating out of the East New York and Flatbush depots. MTA spokesman Max Young told The News said the agency plans to replace all of the aged RTS buses at the East New York and Flatbush depots by the end of 2019. Sticking poorer communities with older buses comes with public health concerns. Diesel exhaust is linked to increased risk of heart disease and asthma. NYC Transit only has a handful of electric buses, and only the Grand Avenue depot in Maspeth, Queens is capable of charging them. City Controller Scott Stringer — who in 2017 issued a report proposing improvement to the MTA’s bus service — said the way MTA buys buses is partially to blame. 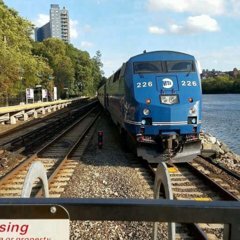 The MTA replaces a fourth of its fleet every three years, instead of one-twelfth of the fleet every year. “New York City buses are far too old,” Stringer said. Riders in East New York and Brownsville just want to stop feeling slighted. They don't mention anything about how a lot of depots and B/O's actually like the RTS's and purposely request to keep them. The newer buses are on the way since the older buses have long outdone their live expectancy. I dont know if this “bus preference system” is just a Brooklyn thing or not, since we in Queens have had XD60s on the Guy Brewer and Lefferts routes ever since launching, in relatively lower income regions. I for one however would love to still keep RTS’s on bus lines, absolute workhorses . I never gave it much thought, but I can see this having some truth. When we have transportation meetings in my neighborhood of any sought, people come out. When we had a Metro-North hearing for semi-express service, we had a discussion about the bus fleet that served our Metro-North stations. Everyone agreed that we needed more environmentally sound buses. I guess when you have more things to worry about, you may not have the time to be as involved. I have taken off quite a few times to go to transportation meetings in my neighborhood but if you are an hourly worker, taking time off means lost wages. I think some depots (such as Ulmer, Quill) have higher priority over what fleet they want, would explain why all the remaining ZFs are still at Ulmer and the final batch of RTSs is at Quill. That said, this article is just inflammatory and whoever wrote it probably has no knowledge of how the bus system works. Not surprising being from one of the tabloids, but still poor journalism nonetheless. Gleason doesn't have any RTSs because they aren't CNG. Speaking of which, Gleason operates many routes in the poorer areas of Brooklyn, including Sunset Park and Brownsville. Whether its by coincidence or not, these are the facts, and there is some truth here. The areas that scream the loudest tend to get the newer fleet first. We have express buses that are over 10 years old, but they are kept in pristine condition. One night waiting by 63rd and Broadway, our BxM2 express bus rolls up and the signage wasn't working. A guy gets on (one of the Lincoln Center crowd types) and he was quite cranky about the signage not working and he let the driver know about it too. Never saw that bus like that again. It was pulled and immediately addressed. In my neighborhood, people feel quite free to make a note of going to community board meetings of all sorts to express their feelings about the smallest issues, and it makes a difference in how the community is kept up and the service you receive. When we had a garbage issue with bins overflowing, I immediately wrote to my elected officials until it was addressed, and when it became a problem again, I did the same thing. You have to speak up to keep your neighborhood looking nice because no one will do it for you. Same is true with bus fleet. I don't complain about our buses because they are clean overall and very well maintained. I don't ride the local buses often, but they are not very old either. The last buses we received are from 2015 or so and they are fairly quiet. This article makes no sense. ENY has less RTSs than Ulmer Park which Ulmer Park serves more working class neighborhoods like Bensonhurst, Gravesend, Bath Beach and Sheepshead with the exception of Coney Island.. It's not always the case but I think it's the further you are from the city the later you'll get newer buses. Atleast that's how it is in Brooklyn since ENY UP and FB are the furthest from the city and all have RTS. I'm surprised pollution is still a problem with buses in 2019, I thought this wasn't a problem anymore once all the 6v92 powered buses got retired. Well we know ENY is about to get newer buses quite soon as their RTS are on their way out the door. They were at one point RTS free but from what I heard and read they had drivers calling out because some of them wanted them back. FB has always been an RTS depot but within the past 10 years it’s been changing with NGs, LFSAs, XD40s and 60s. FB May be one of the last depots with RTSs. I can also agree with truth poorer neighborhoods ends up with these older buses. I take issue with MJQ a lot because they always seemingly get special treatment when it comes down to fleets. For instance MJQ has gotten a slew of newer buses and to me and from what I see is that a lot of those newer buses aren’t needed for them yet. They already replaced their full SBS artic with newer ones last year and this year they’re getting more and plus taking some from FB bunch. Almost every artic bus they have is new and that’s not even counting the new 40 footers they received. The list goes on with them as well. 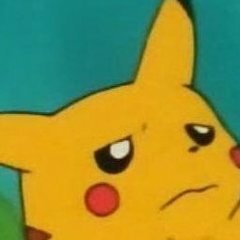 They’re getting XDE40s along with XE60s. Why on earth do they even need all of those buses? I believe a lot of those buses can be sent to other depots to retire older ones. But that’s just me. I was wondering about Manhattanville, it travels along Madison Av and 5 Av, Broadway for the most part and is hybrids. Soon, it may be getting more from other depots such as Yukon, GH/KB with the future LFS order. For years Quill had pretty beat up buses. It's about time that they get newer fleet quite frankly. I got sick of riding those run down RTSs on the M66, M72 and M42 with no AC in the dead of summer. Those buses need to go. End of story. The drivers may like them, but the riders are PAYING for a service and should get new fleet with amenities from the 21st century. You also forget that Quill now has several SBS lines that see heavy usage - M79, M86, M23, M60, M34 and M34A, all are SBS lines, so they will get newer buses for the foreseeable future on those lines, and the M14 will be SBS as well. I wouldn't say it's intentional, but as I said earlier, rest assured that the areas that complain the most tend to get buses sooner. Years ago folks in Bay Ridge made a stink about the express buses constantly being hand-me-downs from Staten Island. Senator Golden wrote to the requesting that new buses be provided. Brooklyn – State Senator Martin J. Golden (R-C-I, Brooklyn), a member of the Metropolitan Transit Authority Captial Review Board, today is calling upon the Metropolitan Transit Authority and New York City Transit Authority to purchase new express buses to service the X27/X28 and X37/X38 routes in Brooklyn. Senator Golden is responding to the announcement that more than $113 million dollars has been awarded the United States Department of Transportation to the MTA for purposes of purchasing new buses. Senator Golden often receives complaints from the residents of Bay Ridge, Dyker Heights, Bath Beach and Bensonhurst regarding the conditions of the buses on these routes. I am writing to you at this time on behalf of the commuters of the X27/X37 and the X28/X38, routes that provide express bus service to Manhattan for the residents of Bay Ridge, Dyker Heights, Bath Beach and the Bensonhurst communities. On many occasions, I have been contacted by commuters that have complained about the conditions of the buses that service these routes. Over the years, I have also received reports that some of the buses assigned to these routes are in fact the old buses that were taken off the Staten Island routes. As far as I am concerned, new buses are long overdue for Brooklyn residents. This morning, I was glad to hear reports that the United States Department of Transportation has approved more than $113 million in federal money to go to the Metropolitan Transit Authority for new buses. Therefore, I write to ask that in your assignment of new buses purchased with this federal funding, the X27/X37 and the X28/X38 bus routes be strongly considered. Thank you in advance for your review and I look forward to hearing from you. If you should have any further questions, please do not hesitate to contact me at (718) 238-6044. Yeah but most of quill fleet is about 10 years of age not including the OGs and the few RTSs. Yeah Quill may have some heavy use lines but they’re going to be about over 110 artics. Before they had 90 and just over 70 a few months ago. I’m sure even with all of their sbs routes 113 is quite excessive. Reason why I say this is that some of their sbs routes aren’t as long as others in the city and wouldn’t really need the amount of buses. Those additional artics were to replace their local fleet M14 fleet but the M14 is going sbs. Not only they they’re taking a piece of this new XD60 order in which they already have XD60s. So to me it doesn’t make much sense. If the MTA need to level out fleet ages in depots I’m sure some of the buses Quill is getting could be sent to other depots. I know that. I was just saying from my point of view. In theory it happens. Those buses get sent elsewhere anyway. When I read this article, I was ready to scream as this is another example of someone who started with a conclusion (which was not true) and used it to express an opinion on a issue which the author of the article knew absolutely nothing. As the late Jack Webb from the television series "Dragnet" stated quite succinctly "Just the facts", meant that before a conclusion should be written, research must be done to support the statements. In reading this typical piece of unsupported garbage masquerading as news, the first question that came into my mind was did the writer do any research to prove what was obviously a hit job on the MTA. The answer is quite is an emphatic "no" as the while the author had one of the best sources in front of him, the internet where all he had to do is plug in a couple of terms such as RTS or buses and he would been led to websites such as this one, it is quite obvious that this was not done. Then all he had to do was scroll down the comments made by our members and then would find out that the RTS buses are being replaced quite rapidly and should be gone by the end of the year.This information comes from members who are considered reliable sources by those of us who are interested in transit. As ABO Brooklyn correctly points out, the routes that run out of Ulmer Park have a high number of RTS's but this did not fit his conclusion which was the purpose of this hit piece and therefore he would not have put it in the article which was the oldest buses are running in poverty neighborhoods. . The author would also learn that the Bronx which also has a high rate of poverty just like the communities in Brooklyn, however, its fleet is far newer as compared with Brooklyn and therefore his conclusion was wrong. Too many persons who consider themselves journalists do not follow Jack Webb's advice before writing something and having it published. I only wish that this author would have heeded his advice before writing this hit piece. Brooklyn Borough President Eric Adams called on Monday for an investigation into the way the MTA distributes its buses, a day after the Daily News reported that Brooklyn’s poorest residents are stuck with some of the oldest buses. Before anyone says anything I would like to point out that since the beginning of this year a lot of RTS have been seeing less service in general and most of Brooklyn is seeing a lot more new buses now. Yes the RTS has been there long enough but at the same time people who live in or represent Brooklyn really shouldn't be talking like this if they don't know what is going on with the way buses are distributed. What a bunch of vultures. None of this excuses the fact that these buses should’ve been retired. That said, this does seem like a publicity stunt. These elected officials should’ve been there pushing the entire time. Maybe this will change some things. We need buses retired within 15 years. 20 years + is too long and all riders should expect clean and reliable buses, which unfortunately is not the case on a number of lines across the City. If the won’t or can’t replace buses sooner, make sure that buses are fixed and rehabbed. We’ve seen countless examples of buses breaking down that aren’t even that old leading to passengers having to go to the hospital for respiratory issues. That is unacceptable. In fact I raised the issue with two elected officials in Southern Brooklyn about Ulmer Park Depot and they are raising the issue with some big wigs at the such as Pat Foye, as they should. Buses that are six years old should not see the kinds of defects we’re seeing, so I can’t imagine what happens with these buses. We could all sit and argue to which buses need to go where but this the job of the Department of buses to fix this situation and stop sending buses from the Brooklyn Division to The Bronx Division. Brooklyn Division has needs too! I’ll give u a perfect example. I was on 4924 last Thursday (B25). The wheelchair lift is wasn’t working and the bus kept jerking. Bus completed service at Broadway-East New York. Next day bus was sent out and had similar issues and that was on the B45.